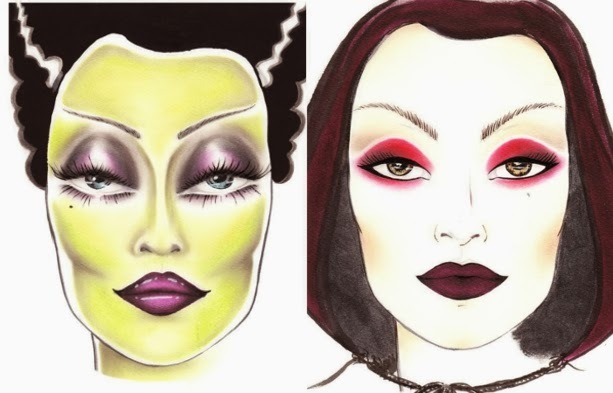 Jillian Undercover: Halloween Make Up! So sorry that my headdress/native American outfit post is taking so long. I actually finished it about two days ago but am contemplating whether or not to post it before Halloween. I've had a few comments from friends saying that I should release pictures only after the party, so as to not ruin the surprise. But then again, I made the headdress so that you, dear reader out there, can make the headdress for yourself too. Of course, we're only down to two/three days (depending where you are) to Halloween. I swear making the headdress takes only about a full day, but sourcing for materials might take a while. And it is quite an elaborate project. What do you think? 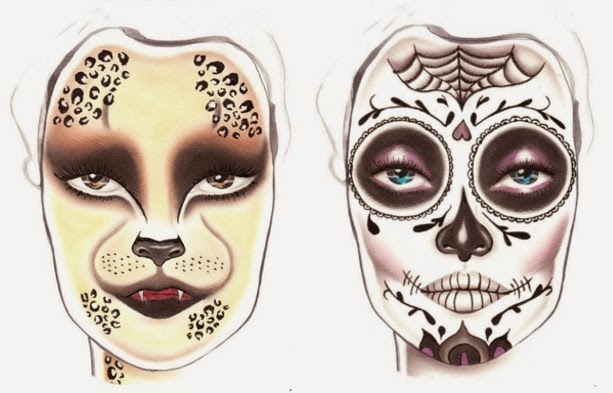 In the meantime, if you haven't got an outfit for Halloween yet, consider face make-up as an alternative. 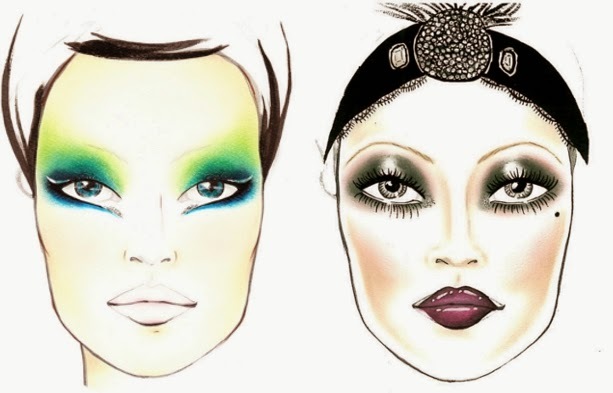 Check out these cool illustrations by Sephora! I would TOTALLY do Peacock and Flapper... in fact, I've sort of already done Flapper (here). The 'Villainess' guide would have been useful when I sported Red Riding Hood few years back (here). And Day of the Dead looks totally cool as well. But Wild Cat looks a bit too creepy to me. Have a pleasant day guys!